I hope that had a wonderful Christmas with friends and family, making tons of memories. 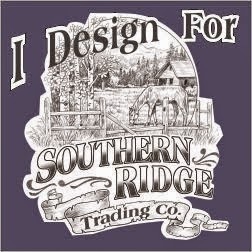 I'm back on the Southern Ridge Trading Company Blog today. Just a reminder that there are only three days left to add your project to our "Christmas Words" Monthly Challenge. 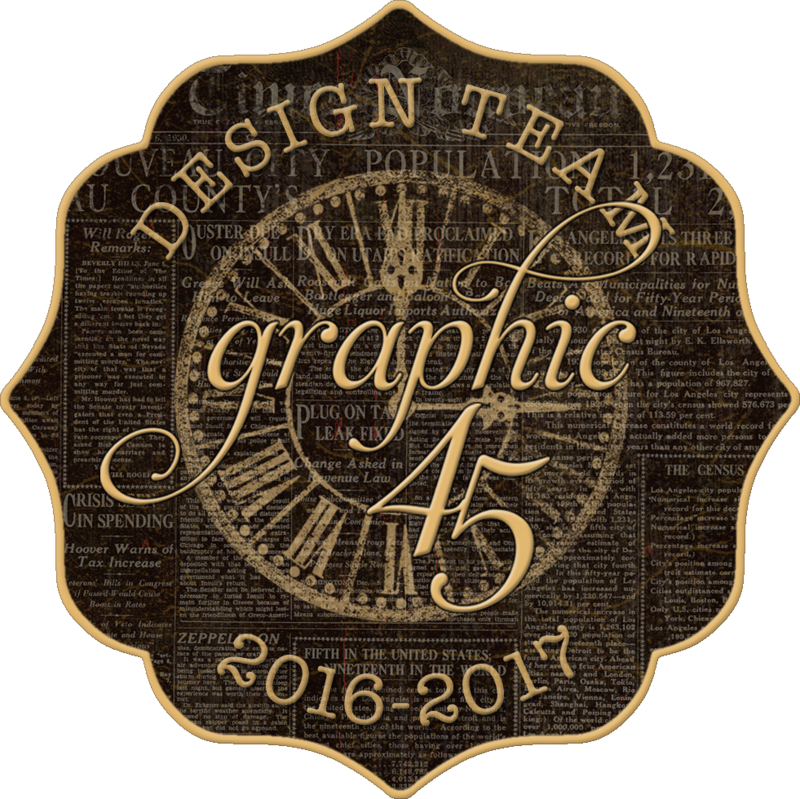 To learn about all of the details and how to enter your piece, you can head here. 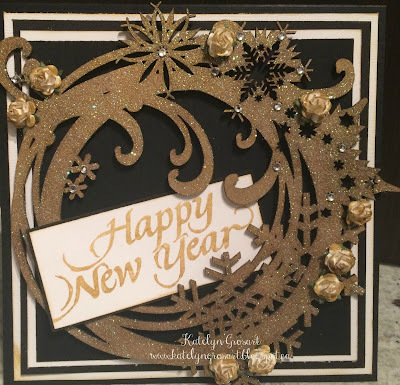 Now lets get down to business, it's my last post of the 2015 year for Southern Ridge Trading Company and I thought what better way to end the year then by a Happy New Year card. To get the beautiful shimmer on the Snowflake Wreath - Large, I took a sponge dauber and applied Gold Delicata over the entire snowflake wreath. 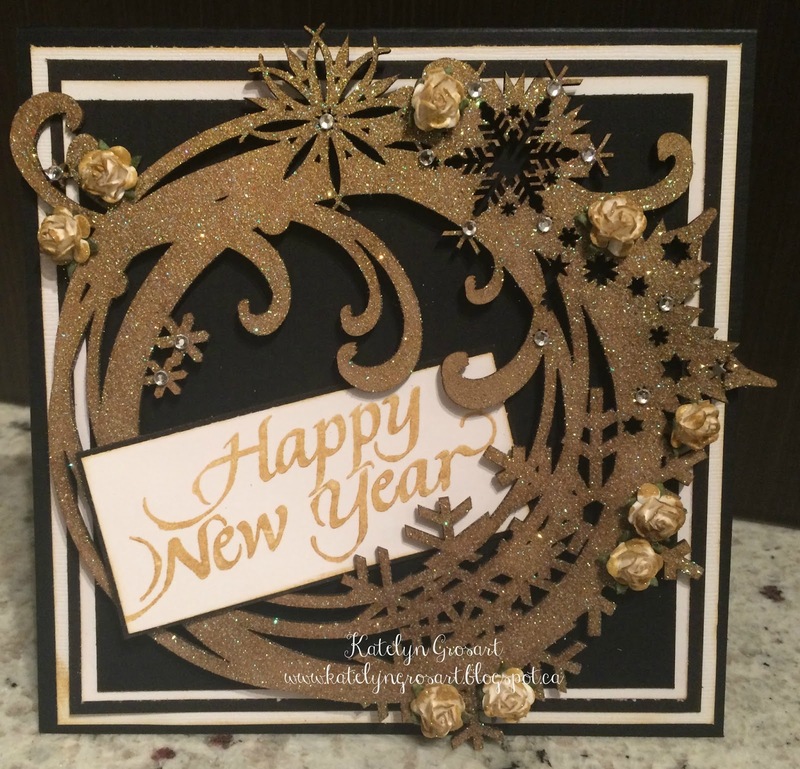 The snowflake wreath looked great once it was covered in Gold Delicata, but I wanted to add even more sparkle to it. To add the extra sparkle, I covered the entire wreath with Iridescent Shimmer embossing powder from Emerald Creek and then dried it with a heat tool. Once it was embossed, I added the clear rhinestones randomly around the entire wreath. The finishing touch on my wreath, were the white flowers that I added Wink of Stella - Gold Glitter to the edges and then placed them around the wreath. To get the Happy New Year saying, apply Gold Delicata to the Happy New Year stamp and stamp onto Ultra Smooth Cardstock. Trim it down and adhere to an 1/8" larger piece of black cardstock. The saying will be adhered to the middle of the wreath around the swirls and snowflakes. 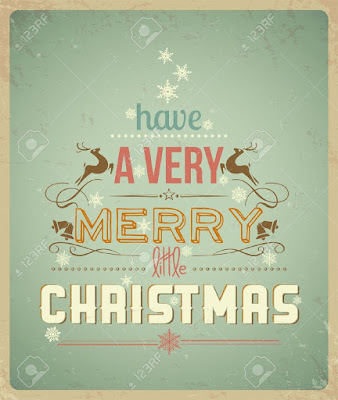 I just wanted to take the time to wish you a Very Merry Christmas. It will be quiet on the blog for the next week and a half finishing CHA samples but I wanted to take the time to thank you for continually stopping by throughout this year. Thanks for stopping by and hope you had a Very Merry Christmas. It's time for a new challenge over on the Emerald Creek Dares blog and this time it features wishing you all a very happy holidays. 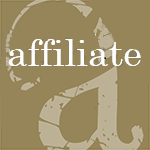 I want to take the time to thank you all for taking the time to stop by and viewing my blog on a regular basis, I truly appreciate it. I hope you enjoy viewing how I created my card. To begin making my card, I cut two pieces of cream cardstock to 3 3/4" x 3 3/4". Once those were cut, I inked up the Holly stamp from Tim Holtz Christmas Blueprints 4 with black archival ink and stamped it on one of the cream cardstock pieces. Re-ink the Holly stamp and stamp onto the second piece of cream cardstock. 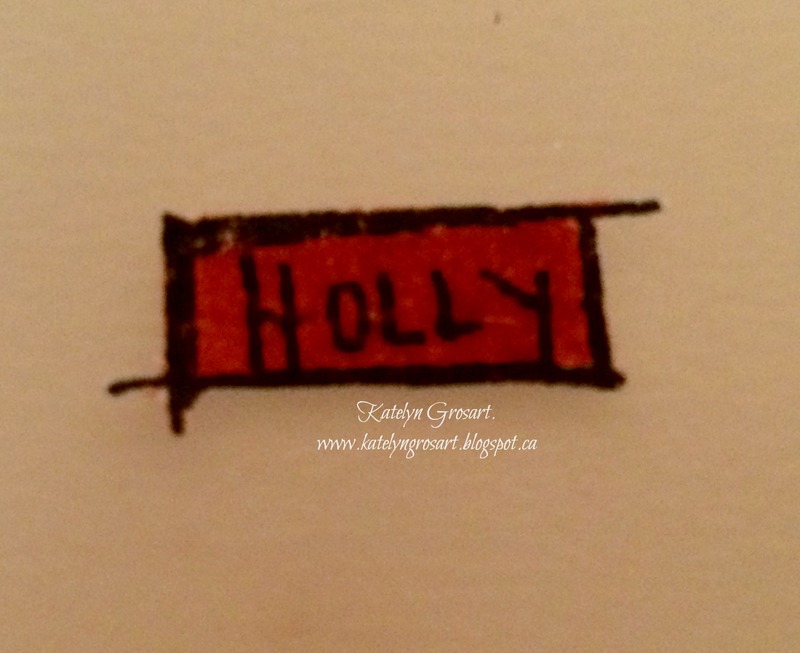 Decide which holly image you like the best and set that one aside. 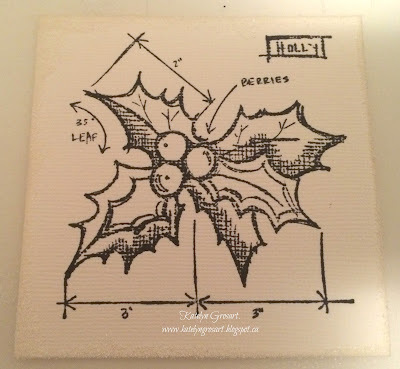 Take the second Holly stamped image and colour the holly with Festive Berries and Peeled Paint Distress Markers. 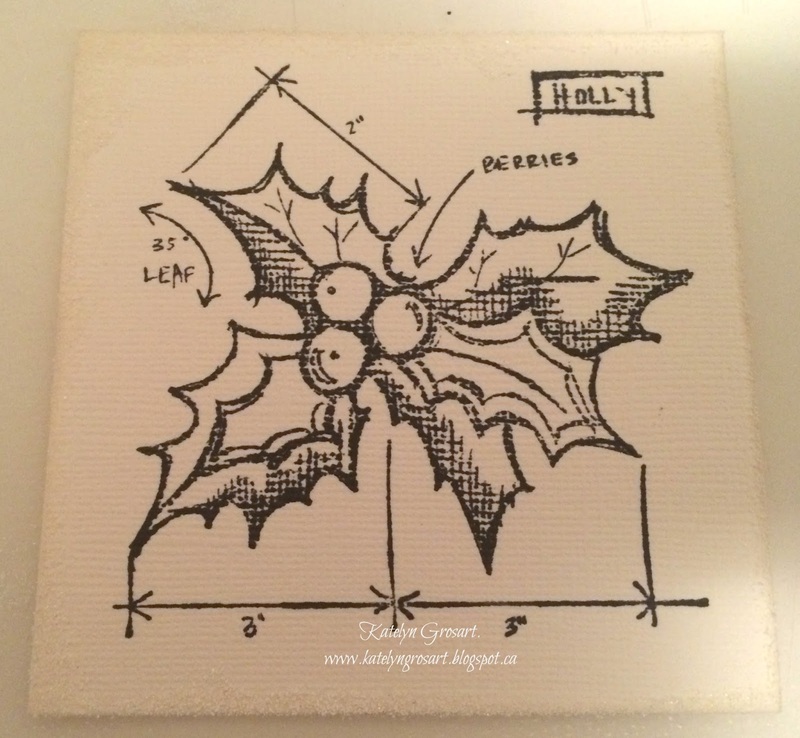 Once the holly is coloured, fussy cut around the holly image and the holly word. Take you blending tool and ink the edges of the holly and holly word with Ground Espresso Distress Ink. To create the banner at the bottom of the card, cut a piece 1" x 5 1/2". With the Barn Door Distress Ink, ink up the Season's Greeting Stamp from Emerald Creek and stamp onto the middle of the paper. 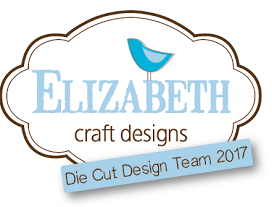 Once the greeting is stamped, create the banner ends by cutting a triangle at either end 1/4" in. Once the banner ends have been created, score at 3/4" on the left and right hand side. To make the banner stand up, fold the banner tail up at the score mark and then fold the straight banner part down onto the banner ends. To finish off the banner, the piece of red cardstock and the first piece of cream cardstock with the holly image, ink all of the edges with Embossing Ink. 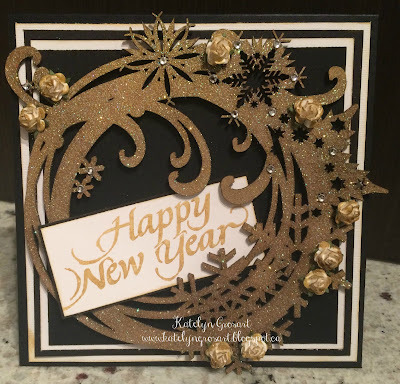 Once the edges are inked where you want them to be, sprinkle over top with Soft Fallen Snow Embossing Powder from Emerald Creek and then emboss with a heat tool. Warning, each piece will come out differently. Once embossed, ink the edges using Ground Espresso Distress Ink. Below is how my pieces turned out. Now that you have seen how I created these different elements for my card, here is the finished card with all of the pieces put together. 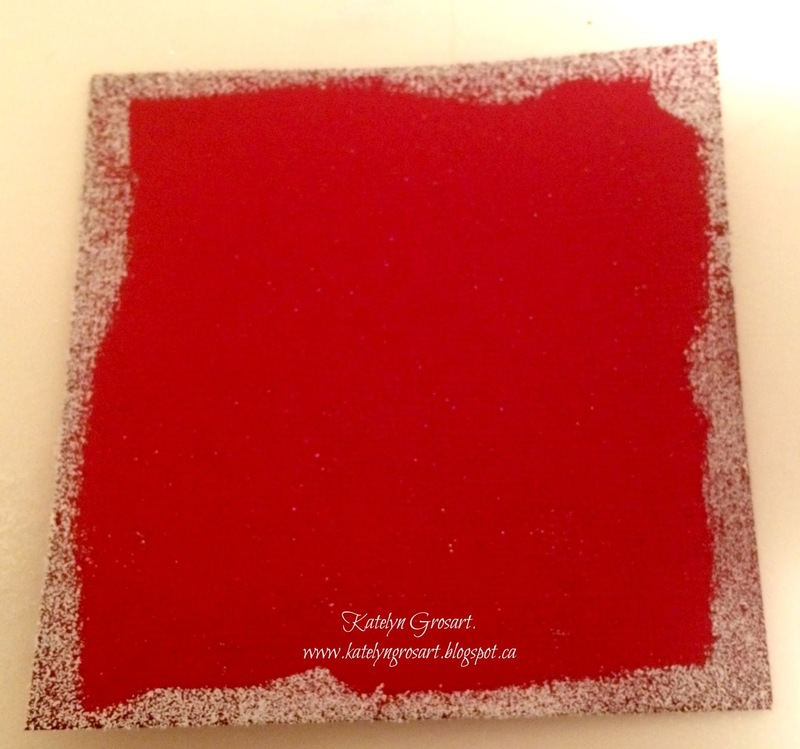 Supplies Used: Emerald Creek - Season's Greeting Stamp & Soft Fallen Snow Embossing Powder. Ranger/Tim Holtz - Festive Berries & Peeled Paint Distress Markers, Ground Espresso & Barn Door Distress Ink, Black Archival Ink, Embossing Ink. 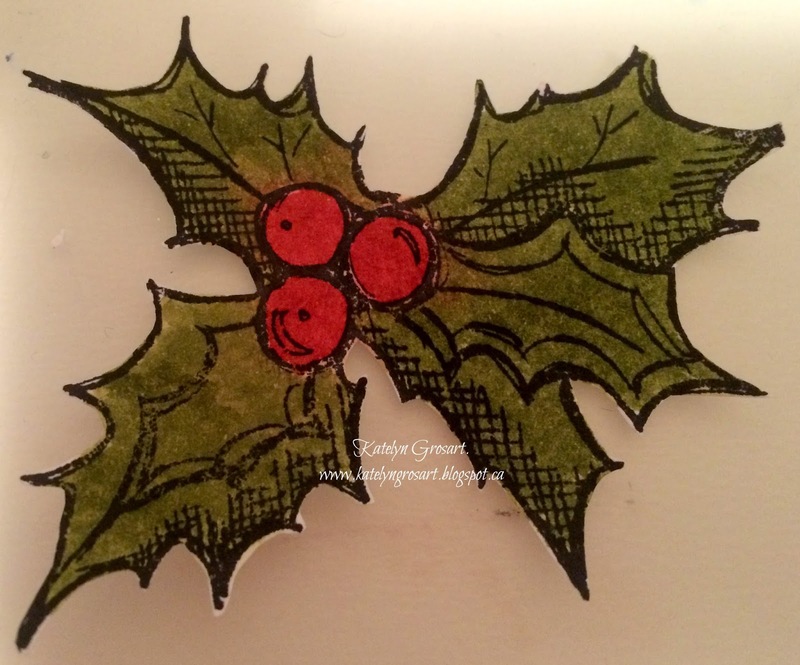 Stampers Anonymous Stamp - Christmas Blueprints 4. 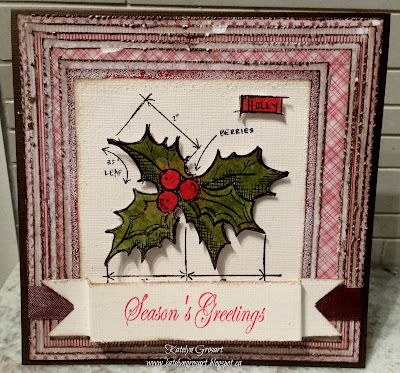 Maja Designs - 6x6 "Home for the Holidays". Bazzill Cardstock - Cream, Red, and Brown. Hug n Snug - Brown ribbon. It's my turn back on the Southern Ridge Trading Company blog with a vintage "Merry Christmas" card. There is still time to participate in our Monthly Challenge. To see all the details and how you can enter, head here. Supplies Used: SRTC - Merry Christmas Greetings Pack, Leafy Frame and Assorted Flowers. Emerald Creek - Onyx Frost Embossing Powder. Tsukineko/Imagine Crafts - VersaMark. Maja Designs - 6x6 "Home for the Holidays". Bazzill Cardstock - Brown Cardstock. Ranger - Ground Espresso Distress Ink and Blending Tool. 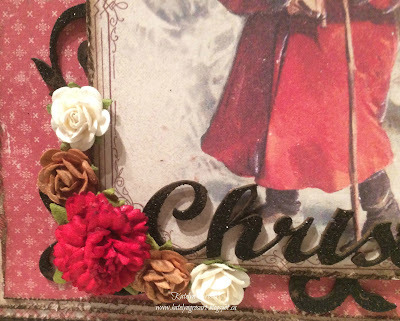 The chipboard pieces that I used on my card are the Merry Christmas Greetings Pack and Leafy Frame. To start, I separated the Merry Christmas word with scissors so that I could place the "Merry" at the top of the card and "Christmas" at the bottom of the card. For the words and the leafy frame, I went overtop of them with Ground Espresso Distress Ink. Once I was happy with the coverage of the ink, I covered the words and leafy frame lightly with VersaMark. Once the VersaMark is on the chipboard pieces, I sprinkled over Onyx Frost embossing powder from Emerald Creek and embossed it with a heat tool. Below are pictures of how the chipboard pieces look once embossed. 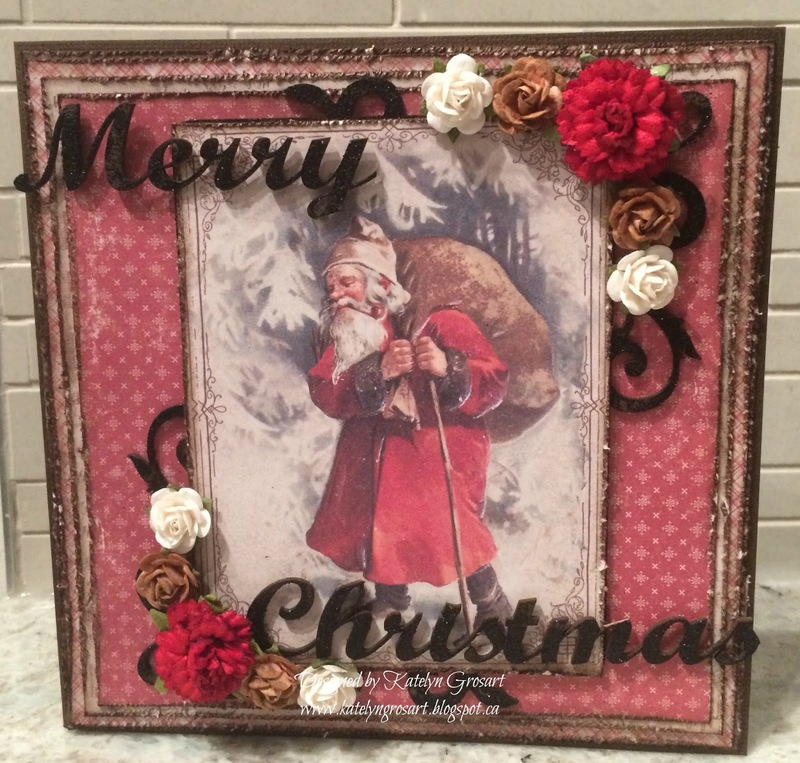 To finish off my leafy frame, I added the old fashioned santa picture to the frame and then added an assortment of flowers to the top right and bottom left hand corners of the frame. 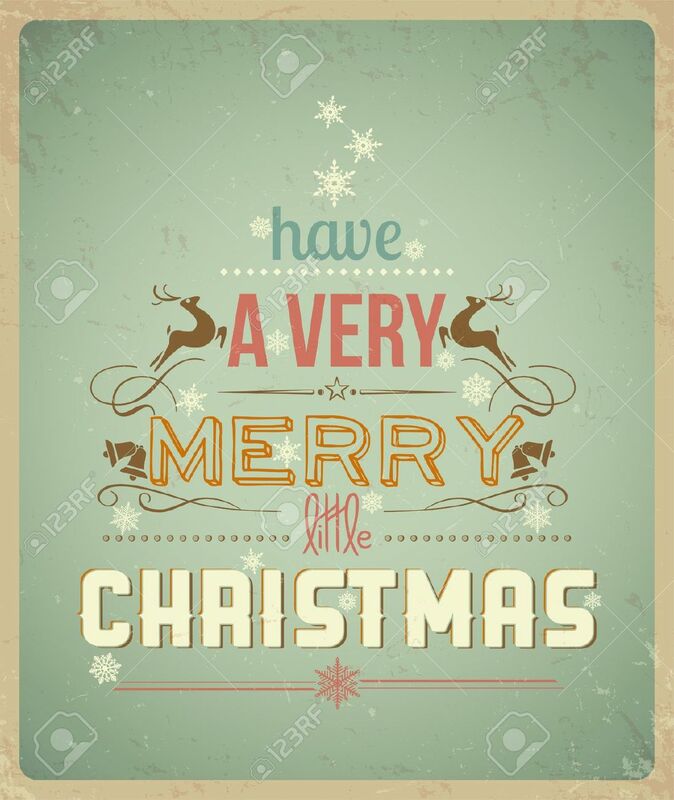 Thanks for stopping by and taking a look at my vintage Merry Christmas card. Stay tuned for some another fantastic Christmas card this week.